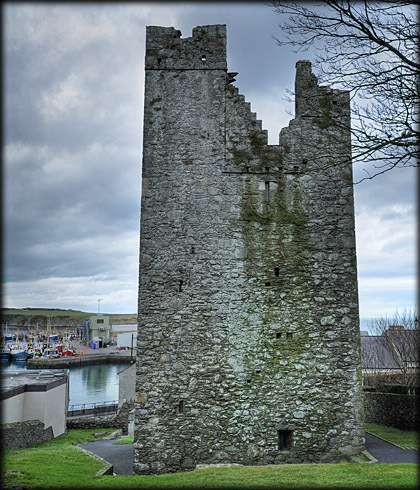 During the Anglo-Norman invasion of Ireland by Richard Fitz Gilbert de Clare (Strongbow), one of his Knights Sir John De Courcy built his castle at Downpatrick. De Courcy needed a bay deep enough for his ships to equip the castle with vital supplies and Ardglass fitted his requirements. Over the centuries it would develop into an important port and the Newerks, or New Works, trading warehouses were built. The remains of these warehouses are still visible on the seaward side of Ardglass golf club. The port and warehouses were defended by a ring of tower houses. In the 15th century the tower house known as Jordan's Castle was built. 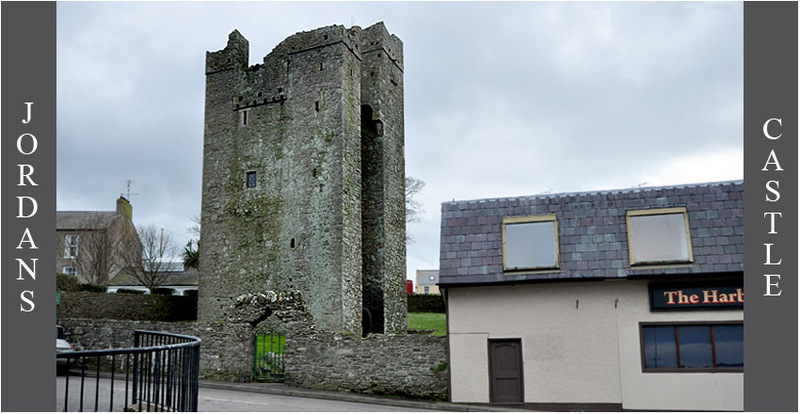 It is a gate house type of tower house similar to those at Bunratty and Listowel with its arched machicolation joining the two projecting towers. This finely preserved merchants house was strongly defended for three years by Simon Jordan during the Tyrone rebellion until he was relieved by Lord Deputy Mountjoy in 1601. 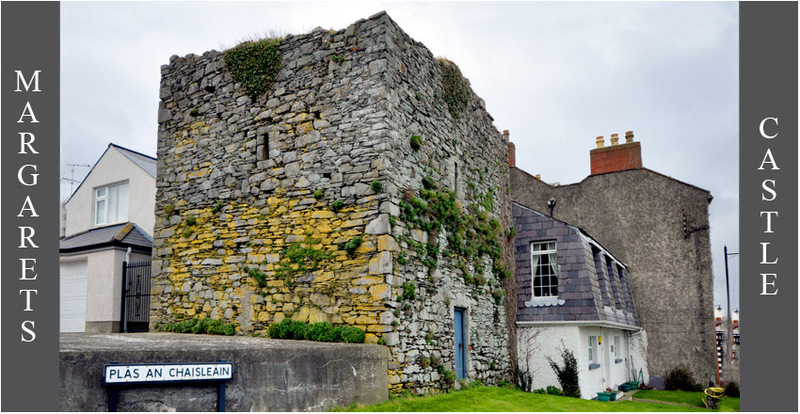 The tower was used as a dwelling until at least the 17th century and may have been used as a store thereafter. It was bought in a ruined state by Francis Joseph Bigger, a Belfast Solicitor and Antiquarian, in 1911. Bigger restored the castle to its former glory and upon his death in 1926 the castle was presented to the state. The west wall, looking toward the harbour. 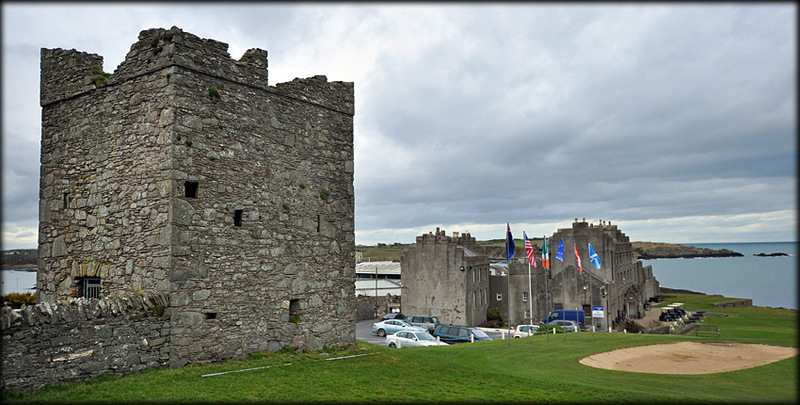 Situated at the entrance to Ardglass golf course is a small two-storey tower dating to the 15th/16th century. In the image above we can see the tower on the left and below it to the right are the remains of Ardglass Castle, which is now the club house for the golf course. The Newerks can be seen at the far end of the club house. The warehouses were a castle type structure with three towers. Lord Charles Fitzgerald demolished most of the building in 1791 and built his mansion, known as Ardglass Castle. A further tower known as Horn Castle lay to the west of the Newerks. This is now the pro shop at the golf club. 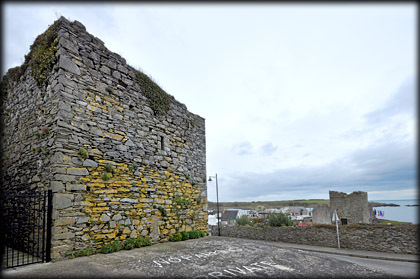 It has been suggested the Cowd Castle may be a flanking tower of a curtain wall built to protect the warehouses. 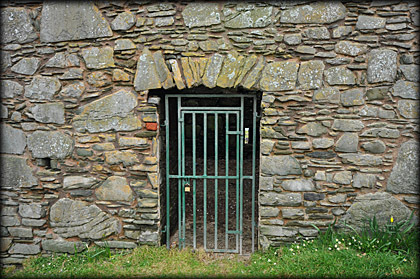 The entrance to the tower is in the west wall. 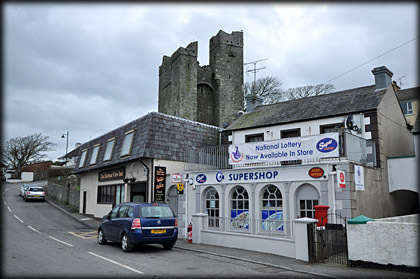 On the opposite side of the road to Cowd Castle is another 15th century Tower house known as Margaret's Castle. 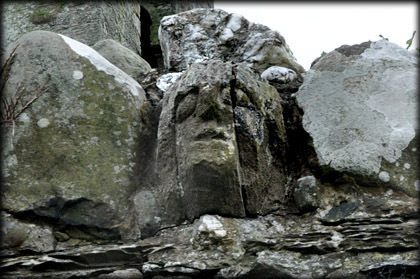 There is evidence to suggest that there were originally three storeys, but only two now remain. In the image above you can see the southeast corner of the tower with the blue door in the east wall. There are two turrets projecting from the northwest wall. We were unable to photograph this corner of the tower house because of the close proximity of modern buildings. 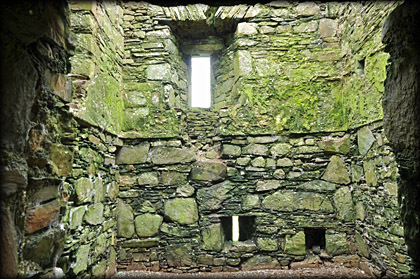 Access to the upper floors was via a spiral staircase in the western turret. At the northern end of the town was another castle named the King's Castle. Originally built in the 12th century the castle was rebuilt in the 19th century and after further restoration it now operates as a nursing home. Discovery Map 21. J 5595 3713. Last visit Mar 2013.